Being a parent has been the most rewarding event that has happened to me in my forty three years. There have been some good times and then there have been times that I wish my Mom and Dad would have told me about some of the issues/choices/decisions that I would have to make as a parent. I think it is their way of getting back at me for all the times that I caused them anguish. And believe me, there are more than you can count on two hands! As my kids get older, I find that their world is a whole lot different than the world that you and I grew up in. Growing up in the digital age is so…”distracting” to me. To my children, that is all they know. Sometimes I find myself wanting to take them back to 1985 to show them how simple life really was! Life seemed so much easier without all the technology. The only technology I needed was my boombox and my hip and trendy cassette collection consisting of Men at Work, Prince, The Cars, etc. As the Integration Specialist for Aurora Public Schools I have focused over the last four years on having conversations with our students about Digital Citizenship. I believe that schools have to make a concentrated effort to educate our youth on the proper way to use the internet and how to behave online. As parents, navigating and keeping up with technology is tough business. Too many parents don’t know what to do or where to start, so they do nothing. I would highly encourage you to sit down with your child and have “the talk.” No, not the talk that you are thinking about, but one that pertains to them as a digital citizen and how important it is that they make good decisions while they are connected. 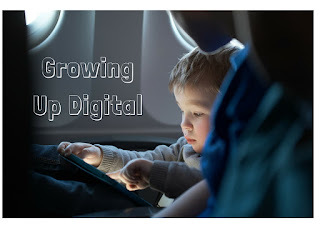 Have you talked to your children lately about how they are using the Internet? Have you checked their devices to see what they are publishing or texting? What about apps they are using? If you are unfamiliar with an app they are using, sit down with them and have them teach you how to use the app. Remaining immobilized around your child’s technology use isn’t effective for you as a parent and it doesn’t help your child. The most important thing you can do is open up regular dialogue about your child’s online activities. Ask questions, set boundaries, download the apps yourself, follow your children on social media, and model appropriate technology use. I know that my kids get tired of me preaching about their digital footprint. I don't care. It is just another one of my responsibilities as a parent, and I encourage you to do the same as well. When you and I were younger, first impressions started with a handshake. Now they start with a Google search. What your child is doing online now and in the future can have a tremendous impact on their digital footprint. One of my colleagues at ESU10 was asking me what schools do for DigCit...he is having conversations with his 7th grader. Unfortunately, not all schools are where you are with this. Keep it up!